National Cyber Network head presents in France Israel's new activities in field enjoying international cooperation. 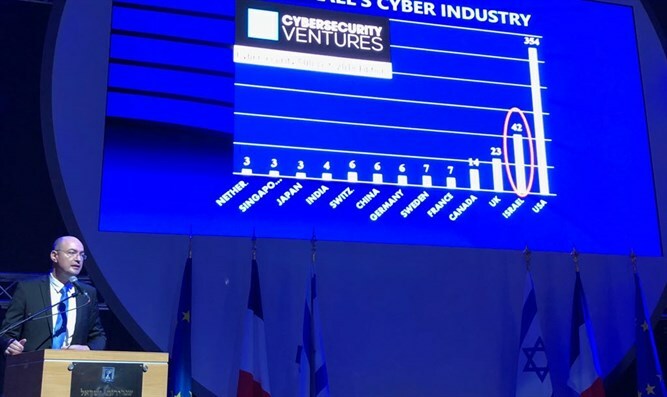 In the framework of "France-Israel Season" events, the Prime Minister's Office's National Cyber ​​Network head Yigal Ona today presented new cybersecurity efforts led by the Network while integrating and emphasizing international cooperation. Ona said "the national cyber network is currently leading and advancing two innovative areas to defend civilian cyberspace: The first is cyber protection in transportation with emphasis on civil aviation, and the second is cyber protection in medicine with an emphasis on information and medical devices. "We held a series of successful meetings with French government representatives where we discussed ways to promote joint activities for cyberspace security of the two countries and in general," he said. The innovation conference in Paris is part of the French-Israeli crossroads events, which were inaugurated last night by Prime Minister Binyamin Netanyahu and French President Emmanuel Macron.